One postcard with a b/w photograph of skiers at the base of the Little Nell ski run on Aspen Mountain, 1950-. The t-bar is in the background. 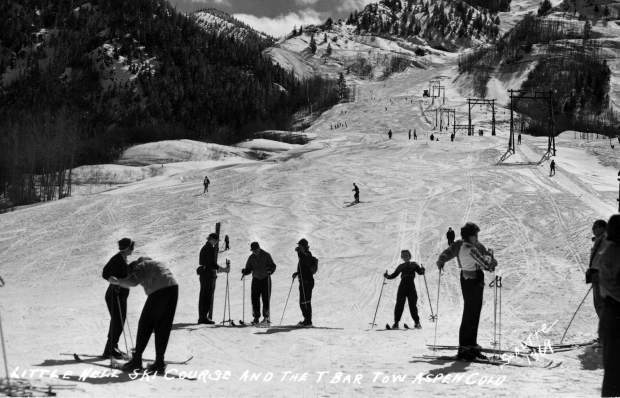 A caption with the image reads "Little Nell ski course and the T Bar Tow, Aspen Colo."
“Aspen weekend crowd is the biggest ever,” announced The Aspen Times on Jan. 3, 1952. 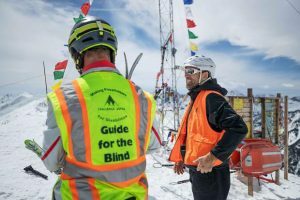 “Snow fell this week on the largest crowd of skiers Aspen has yet seen. Despite poor visibility, the slopes were busy all day Saturday. On Sunday, when the storm piled snow too heavily for safety on the trails, the Ski Patrol blasted loose snow and thoroughly checked Ruthie’s Run, after which skiers were allowed on this trail only. Monday and Tuesday the crowd was restricted to Little Nell, while Patrol worked diligently on the hill. 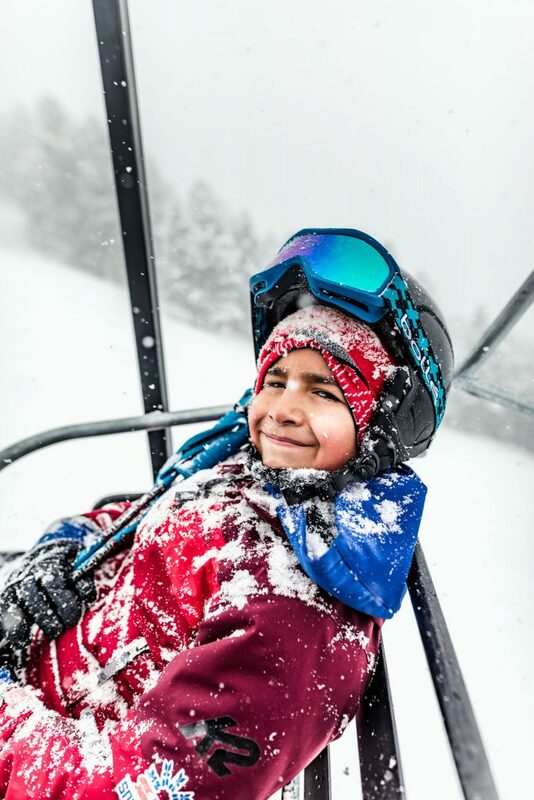 By Wednesday, the chair lift was running again and all runs were opened for use except Bell Mountain and Silver Queen. Meanwhile, the capacity crowd of skiers kept the T-bar lift working full tilt. It was gratifying to note that no accidents occurred over the holiday… no broken bones, no deep snow troubles.” The image at right shows skiers at the base of the Little Nell ski run on Aspen Mountain, circa 1950. The T-bar is in the background.